The first is easy enough to use and understand – you read the document on your device using a pdf reader program and, maybe, print it as well. It’s perhaps, though, less obvious what you should do with the second, the gpx file. So let’s take a closer look. Where the file may be a great help is that a program can use it to draw the line of the route, superimposed on a base map, on your device. Brilliant! These are examples of the same gpx file being used to display the line of a route on three different base maps. Symbols (i.e. the numbers) have been added to some of the waypoints. 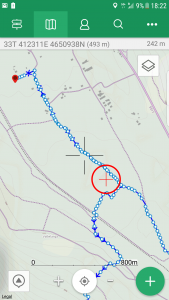 You need an app on your device to read the gpx file, draw the route line and display it on top of a base map (possibly one of many) that it has. 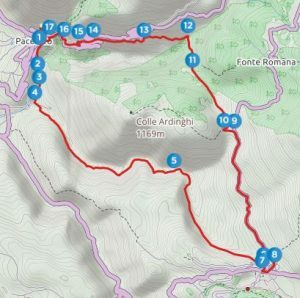 The app should be able to derive the altitude for each waypoint from the underlying map so it can also show you the altitude profile of the route. You can get apps for Windows, Android and IOS which covers pretty much all laptops, smartphones and tablets. Use the app store on your device to find a gpx display app and install it from there. I will though make a recommendation which is the ViewRanger app. ViewRanger, in fact, is what I use to create the gpx files for all the routes in our catalogue. It’s free but you do need to make an account to be able to use it. Do this first by going to their website by clicking here. Once you have an account, open the gpx file of your route by using the ‘Create a Route from GPX‘ option in the menu. The route will appear in your ViewRanger list of routes. You also need the ViewRanger app on the device you take with you on your walk. From within the app, use the ‘sync content‘ option to transfer the route to your device where you can display it on a map. That’s it – ready to go! So what’s so great about having the route line displayed on your device? Well, here comes the really good bit! Most smartphones and tablets also have a GPS sensor which means they can know where you are by reading location satellite signals. If the app you use can combine displaying your intended route (gpx file) and your current position on the same map you can see exactly where you are in relation to where you want to be. How useful is that! 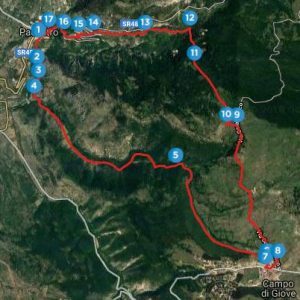 Not all apps that display a gpx file will also show you your current position and vice versa so make sure you use one that does – like ViewRanger. Here’s a photo of me following a route line on my phone and a screenshot of what I was actually looking at. The ViewRanger app is also showing me my current position – in the centre of the red circle. I’ve wandered off a bit! gpx files can also be downloaded to handheld GPS devices such as those made by Garmin. If you use one then it will do the same as a smartphone with a suitable app (and probably more). Finally, a word of warning. 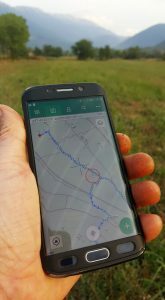 You will soon find that a combination of the gpx file and a good viewing / navigation app on your smartphone is, in many situations, at least as good as a map and compass but it is not an infallible aid. Phones break and batteries run out. 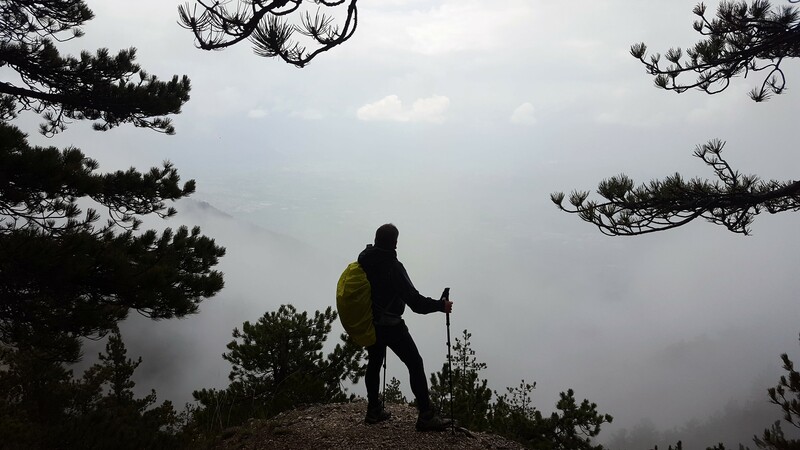 You should always take a map and compass, especially if going above the treeline, as a backup. And know how to use them…. But that’s another post for another day!